My introduction to Gracie Gold took place during the Team USA Olympic Media Summit in Park City, in October. The 18 year old originally from Newton, Mass., spoke to attendees and performed a skating demonstration, dazzling the crowd who would report on her rising star status as Olympic hopeful. After seeing her pre-season skate that evening in Utah, it was no surprise Gold emerged the U.S. national champion a few weeks ago. Here's a young woman on the move. At least I think it was Gracie on the ice that night -- turns out she has a twin sister, Carly, who also skates at the senior level. Gold's bio notes in the media summit press book note she aspires to be an orthodontist after her skating career, putting her on a similar track to another U.S. Figure Skating Olympian, Debi Thomas (now a physician). I haven't yet spotted Gold in Sochi but look forward to the figure skating event on Feb. 19, which will be the last event of these Games for which I have a ticket. It will be fun to experience first-hand the escalating on-ice competitiveness for Gold, her U.S. teammate Ashley Wagner and the Russian media and skating darling Julia cover girl turned Olympic gold medalist via the team figure skating competition earlier today (wish I'd been there). 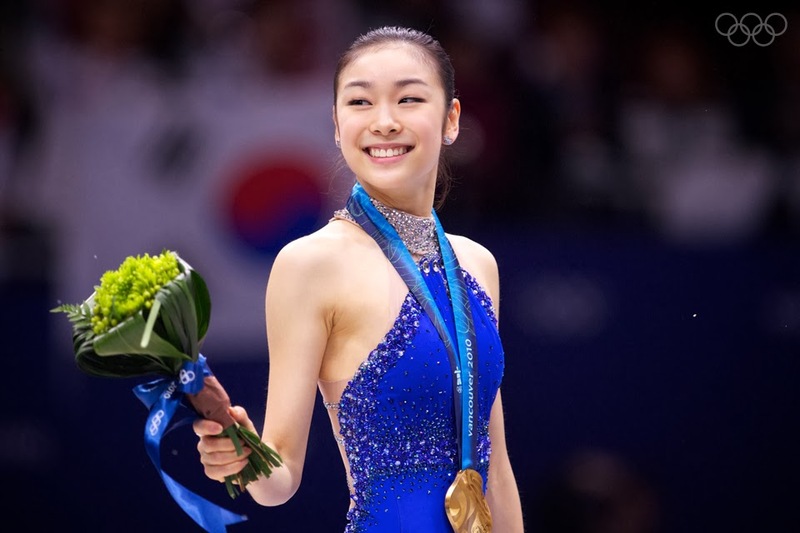 All three of the aforementioned skaters better watch out for reigning Olympic champion Kim Yuna of Korea. She put on a spectacular performance in Vancouver (I was there and it was surprising), and with PyeongChang 2018 on the horizon methinks Yuna has a lot at skate, er, stake. Who is your favorite in the women's figure skating competition? Please vote in the poll along the right column of this blog (failing to cast a ballot puts everyone on thin ice).